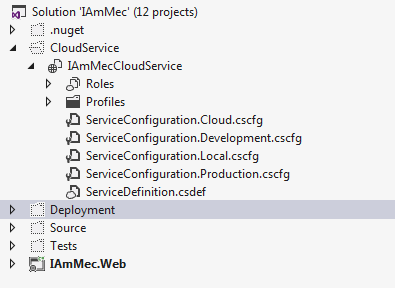 This article describes how to setup Windows Azure Web Role (Cloud Service) deployment using the automated continuous integration server CruiseControl.NET. This process enables you to automatically create a package and deploy it to Windows Azure after every code check-in. The package build process is equivalent to the Package command in Visual Studio. For building the package we will use MSBuild command-line, for deployment Windows PowerShell script. The build and deployment process can be customized based on your Windows Azure environment, development, staging or production. Powershell script is based on the script provided by Continuous Delivery for Cloud Applications in Windows Azure.  Install the Windows Azure Authoring Tools - WindowsAzureAuthoringTools-x64.msi. Copy it to the same directory on the build server. Now we need to configure the build for the Cloud Service project. Windows Azure PowerShell is a scripting environment that you can use to automate the deployment and management of your Windows Azure services. 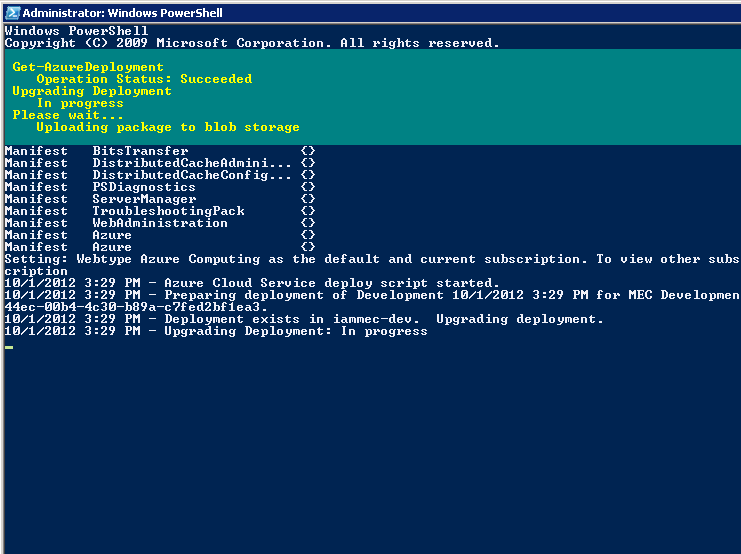 In order to use it, we need to install Windows Azure PowerShell cmdlets. The next step is to download the publish settings profile. 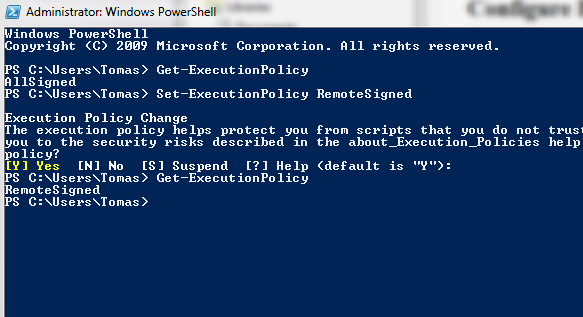 We will need to specify the settings file when calling PowerShell script. Once we have our deployment package, service configuration, and publish settings file, we can proceed with publishing them using Windows Powershell script. Download the Script Template and set up the default parameters. It's up to you if you specify all parameters or pass them when executing the script. Add or modify any parameter values in the Params section. These values can always be overridden by passing in explicit parameters. This will enable you to run scripts that you write yourself, but will not run scripts downloaded from the Internet if the scripts have not been signed by a trusted publisher. Make sure you specify a high enough build timeout value. You can adjust that based on your needs, but give it at least 10 minutes. It is best to tune those command lines and scripts before adding them to CCNET configuration. It will just save you time and will not pollute your reports with failed builds. Happy continuous integration using Windows Azure!